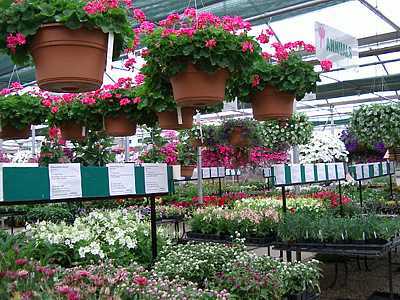 We offer a large selection of trees, shrubs, annuals, and perennials all professionally grown at our nursery and greenhouse facilities. A well stocked houseplant inventory as well as spring and fall bulbs are also available. 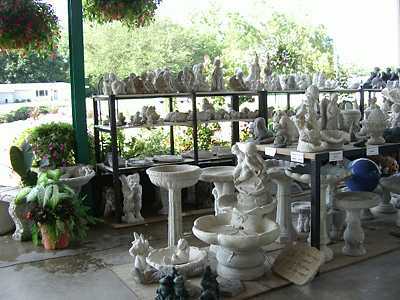 We strive to bring our customers new and innovative garden ornaments and gift items for all seasons and occasions. A colorful variety of poinsettias fill our display house during the Christmas season. We also have other seasonal favorites such as Christmas cactus, cyclamens, amaryllis, orchids and paper whites, evergreen wreaths, trees and outdoor winter arrangements. The Garden Center is open throughout the year, 7 days a week and is located two miles east of Manhattan on Hwy 24. When you think of gardening, think of Horticultural Services. Our friendly staff is here to help you and offer knowledgeable advice. We provide a wide range of gardening supplies to meet the needs of any landscape and gardening enthusiast. Copyright © Horticultural Services, Inc. All Rights Reserved.